Banner Printing, L Banners and More . 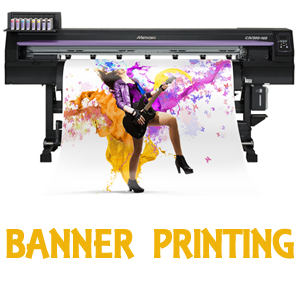 . .
Digital Jelly offer customers quality banner printing at the lowest price possible. Whether you need L Banners, indoor or outdoor banners printed, we’ve got them all. Make sure your brand gets noticed! Although the marketing landscape has evolved quite fast, printed banners have remained a constant for advertising your business or product. Whether you’re aiming to attract new customers, or in need an affordable way to market your brand; printed banners are an affordable option with many practical benefits to you. Which Banner Should You Choose? The effectiveness of custom banners is no secret and it doesn’t have to be too expensive. We can use PVC material if you’re on a tight budget and this can be used both in and outdoors and will give a sharp look to your design. This is particularly useful for those specials or offers that have a ‘1 time offer’, or other temporary promotions, as it is recommended for single usage. When promoting at functions or events, reinforced PVC material will do the trick, that is sturdier than the normal PVC material. It combines both aesthetic and practical qualities, making it a cost-effective advertisement for your business. Personalized banners made with this material will have a sharp and striking quality, with waterproof properties suitable for in or outside. The material is also a fire retardant; ensuring you can promote wherever and skip passed tedious regulations. Similar to the standard material, ‘mesh canvas’ is also brilliant for outdoor events and functions. Custom banners made with mesh canvas will display your design, with tiny holes throughout the material. This helps the banner withstand windy spots. If you need to print a banner that has to look sharp and clear from all angles, using the ‘bl0ckout material’, is a sure way to promote your services in the best possible way. This sturdy material has all the benefits of the standard material, but also allows for double-sided printed, and blocking out light to keep your personalised banner vibrant and visible. Contact Us Today for a free quotation on Roller Banners, L Banners, select your Banner of choice.